Los Angeles – Tom Caufield is a contemplative guitarist with an uncommonly melodic style, and though his music shares traits with ambient music, one still walks away humming identifiable melodies that float in an effortless dream-stream, built into traditional verse-chorus-bridge structures. “I grew up on the popular rock, pop, folk and soul of the times,” says Caufield of his musical boyhood, “so even when I make contemplative mood music, I can’t help but infuse it with a strong melodic storyline.” That’s good news for listeners who love relaxing music and memorable hooks. The whole thing works – with blues and Spanish tinged phrases dancing like lace and pain over a soft, natural, wooden bass, brush-kit drums, Fender Rhodes and Hammond organ backing, creating a groove that sounds like ‘giant seaweed swaying.’ In addition to a larger sonic palette, Caufield also discovered another crucial element in making a sound all his own: improvisation, adding this to his already formidable compositions skills. The new album journeys farther into this sonic territory. From the 24 minute opener “Waif Among the Reeds”, one is swept into a seductive dreamworld of spiraling, elegant, Spanish, pop, folk and blues tinged guitar, composed and improvised soloing, accompanied by creamy, retro Moog synthesizers and Arp synth strings. The phrases echo the minimal Zen restraint of Weather Report era Wayne Shorter – more suggestions than finished melodies. The poignant reverie ‘Rubies on Fallen Leaves’ and epic ‘Palace of Broken Mirrors’ round out the collection. Citing Harold Budd, Mike Oldfield, Tony Banks, Vangelis, & Brian Eno as his primary musical models, Caufield admits to relating more to ambient music artists and their aesthetic ideals than other acoustic guitarists, who he feels are “more structured, roots-based or conversely, adventurous and explorative than I’m aiming to be.” His main influence as a guitarist is probably Carlos Santana, and “the simplified Andres Segovia pieces that were assigned to me when I first took lessons.” He also cites as influences, and offers admiration for Will Ackerman, Ralph Towner, and Pierre Bensusan. Caufield’s first four albums all charted in the Top 20 of Zone Music Reporters’ Top 100 Radio Airplay Charts, with his debut, ‘The Slow Dance of Time’ making the Top 10. His music has been featured on John Diliberto’s syndicated NPR program ‘Echoes,’ and is a regular feature on Music Exchange’s streaming network ‘Soundscapes,’ in addition to receiving airplay on over 50 airwaves based stations nationwide. Caufield’s aim is to convey emotion as directly as possible, yet leave lots of space for listeners to find room for themselves inside the music. Eschewing busy arrangements and speedy passages, his compositions are minimalist, sparse and create an experience that is relaxing, yet involving. Offering a chill blend of creamy, retro yet modern music that will amplify the sound of your heart and soul, Caufield’s sound is a 21st century take on contemplative instrumental music. Wooden and natural, peaceful and evocative, ancient yet modern (i.e. 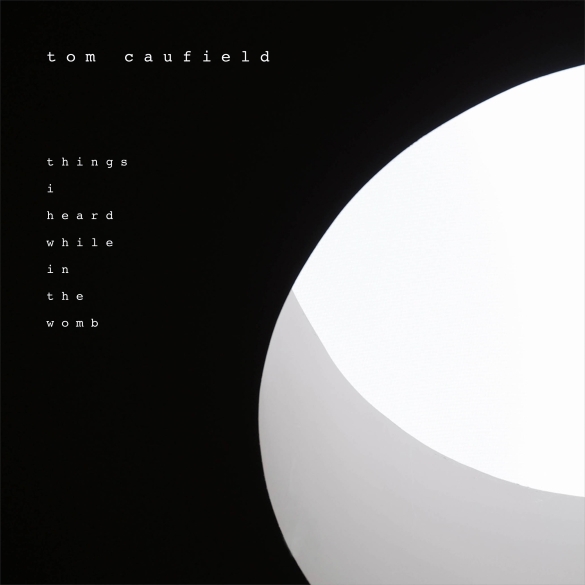 : timeless), accessible, yet hinting at life’s complexity, Tom Caufield’s music will transport you to a place you probably don’t visit enough – your deeper self.